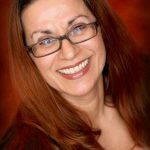 Adela Rubio is a Joint Venture Strategist who helps conscious entrepreneurs share their message and build their tribe using experiential list building strategies. I had first met Adela at an event on the East Coast in 2010, and saw her again in Atlanta in February of 2012. In this interview Adela shares how she got started online and why she chooses to work with conscious entrepreneurs. We discuss what she means by ‘juicy joint venture partners’, and why she refers to her community of followers as her ‘tribe’. Adela encourages you to claim your authentic essence in everything you do. Adela offers an Enlightened List Building training program that will help you to build your list, increase your joint ventures, and achieve massive visibility online.